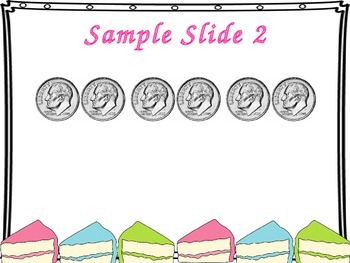 Enjoy this 44 page (with 3 pages of Sample Slides) Interactive PowerPoint Slideshow! 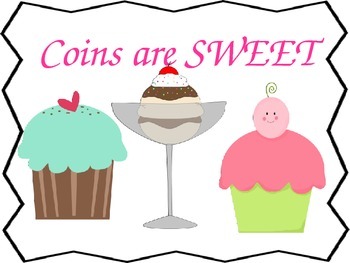 Slides 5-17 have students calculate 1 coin-combinations. 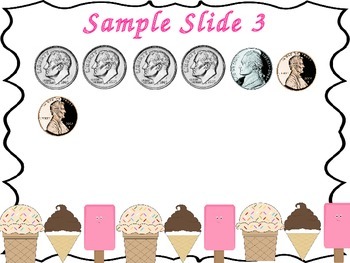 Slides 18-36 are 2 coin combination problems and Slides 37-47 are 3 coin combinations. 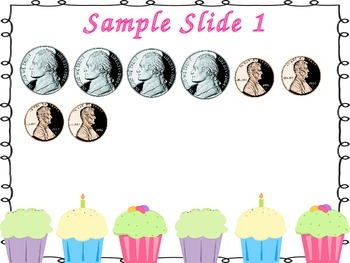 Students will count the coins, click the mouse, and the correct answer will appear.